Royal Enfield Himalayan price in Lucknow starts from Rs. 1.79 lakh (Ex-showroom). Himalayan is available in only 3 variant. Royal Enfield Himalayan Sleet is priced at Rs. 1.81 lakh and the top-end variant Royal Enfield Himalayan ABS is priced at Rs. 1.81 lakh. 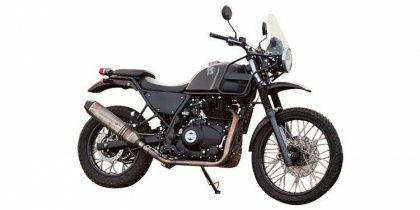 Royal Enfield Himalayan's top competitors are Bajaj Dominar 400 (price starting at Rs. 1.63 lakh in Lucknow) and Royal Enfield Thunderbird 350X (price starting at Rs. 1.57 lakh in Lucknow).